To celebrate the completion of the Aqua Felice, an aqueduct built by Pope Sixtus V, the Triumphal Arch of Pope Sixtus V was erected. 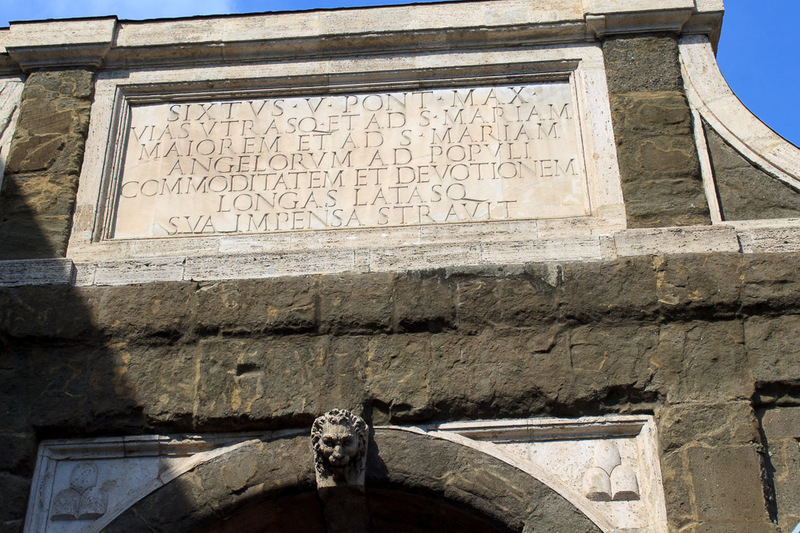 The inscription on the southern side of the arch (2nd photo below) boasts that Sixtus V, with his own money, had roads constructed that lead to the churches of Santa Maria Maggiore and Santa Maria degli Angeli, in order to encourage the people's devotion. On the north side (1st photo below), the inscription shows the date of construction (1585), and states that Sixtus V, out of his own pockets, paid for the creation of 13 miles underground and 7 miles on arched constructions, of the Aqua Felice. One side of the arch abuts the Termini train station, and the other side connects to an aqueduct. The arch has three openings and consists of big blocks of the tuff stone called peperino, with travertine marble decorations. On both sides of the arch symbols associated with Pope Sixtus V and his family can be seen, such as the star, the mountains and the lion. 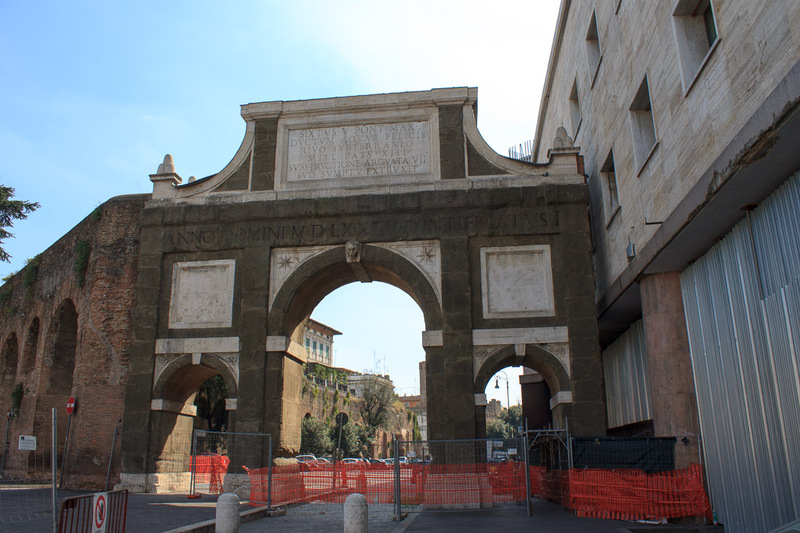 See all Triumphal Arch of Pope Sixtus V photos.